» Recent things, you should probably know about. Recent things, you should probably know about. There seems to be a lot of questions going on around Maple lately, so i'm just going to answer the ones I can now. You're more than welcome try to pry more info out of me. 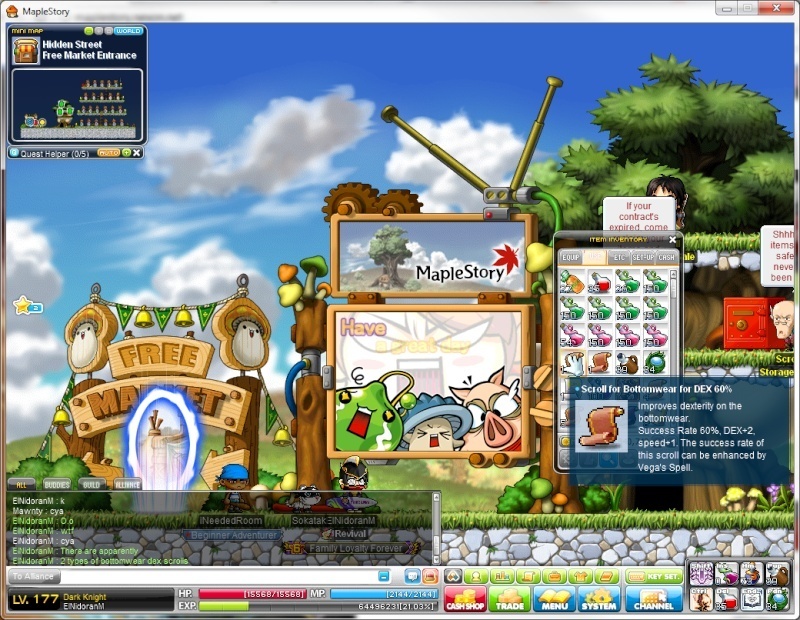 So, I never used to be able to go to horntail and stuffs 'cause my computer wasn't entirely compatible with MapleStory. Have there been any changes or upgrades to that effect? I have Vista, and was hoping they at least made that much of a change. B: Converting everyone to 148ism!!! I bet many changes have happened(Hopefully for the better! 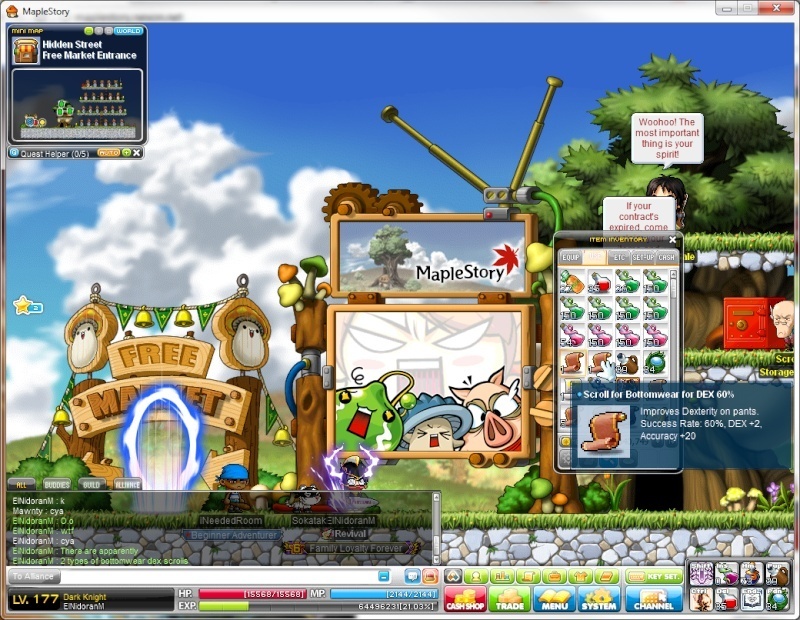 ), but after some unpredicted time lossage, I kinda disappeared off Maple for a while. Well, seeing as some time freed up I hope to be back. :) I still need to hit level 120 on my poor Priest(RainbowBless). There's currently a glitch due to the new chair gacha, the chairs that are timed are able to hide the time limit, it's done by either trading or putting it in a store and taking it down. No one really knows if the timer will expire, but i'm assuming it will be fixed to reshow in a few days.